A six-part miniseries which follows six young Australians who go to war, full of confidence and bravado. They land in Singapore in 1942, just in time for surrender. With 15,000 others, they are marched off to Changi prison camp. Together, the six boys survive three and a half years of incarceration. 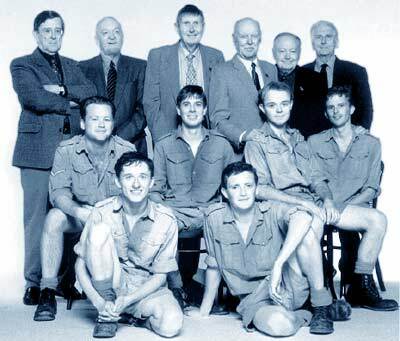 Along the way they see many mates disappear to various work camps and while Gordon loses a toe, Curley nearly his mind, Eddie his faith, Bill his ability to trust, David his memory and Tom his soul, they never lose their central dependence on each other. Almost sixty years later, the six prepare to get together for what may be their last hurrah.